What's the Lydian diminished scale? 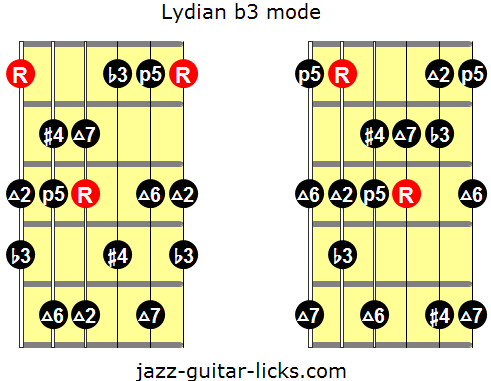 The Lydian b3 mode also known as Lydian flat 3 or Lydian diminished, is the fourth mode of the harmonic major scale. It is built with the following intervals 1 - 2 - b3 - #4 - 5 - 6 - 7 and theoretically employed over minMaj7 chords although rarely used. It is similar to the melodic minor scale (1 - 2 - b3 - 4 - 5 - 6 - 7) but has a raised fourth (#4) instead of a perfect fourth. Here are two Lydian b3 guitar neck diagrams.